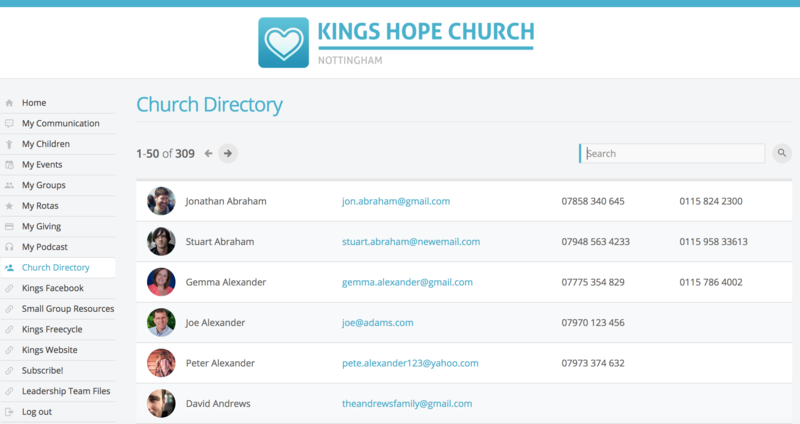 While the majority of your church's member-facing My ChurchSuite content is driven automatically by the underlying module data of your admin-facing system, some additional customisation of the user experience can also be achieved, providing a member-facing interface that uses language and terminology familiar to your church. 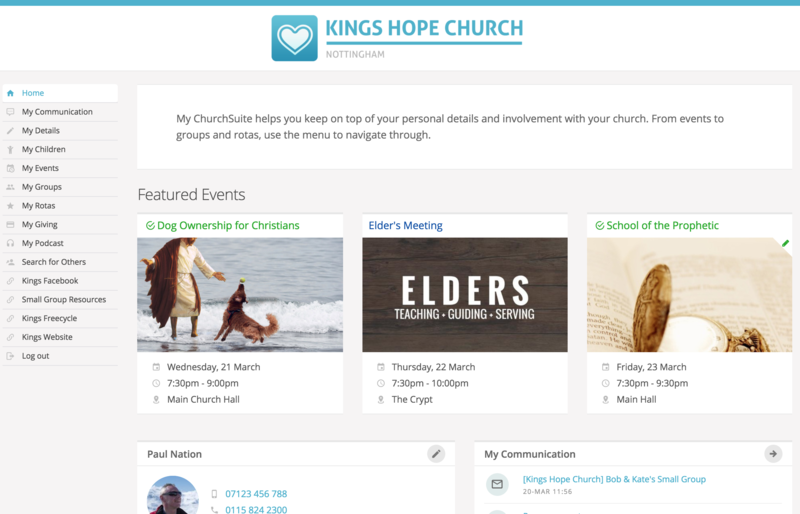 You can customise the My ChurchSuite home screen 'welcome message' that your church members will see after they log in - displayed at the top of the Home page above your featured events. Head in to the "Address Book" > "Module Settings", accessed via the cog wheels in the top right-hand corner of the module. You'll need Administrator or 'manage module' user permissions to access this area. Select the "My ChurchSuite" tab and locate the "Welcome Message" section. To override the default message simply add you own custom message in the space provided. A wide range of text formatting tools are also provided, allowing you to add HTML links, images or embedded content if you wish. Save your changes before navigating away from the module settings. You may need to refresh your My ChurchSuite browser page to see your changes reflected on the Home page. You can customise the menu names used in My ChurchSuite to suite the language and terminology familiar to your church members. For example, maybe you call your small groups 'life groups', or maybe you want to change 'My podcast' to 'My sermon messages' - no problem, here's how! For each My ChurchSuite menu name you wish to customise, head in to the corresponding module's settings within your admin-facing ChurchSuite system. For "My Communication", "My Podcast" and "Search for Others", head to the Address Book. For "My Children" head to the Children module. For "My Groups" head to the Small Groups module. For "My events" head to the Calendar module. For "My Rotas" head to the Rotas module. And for "My Giving" head to the Giving module. Each module's settings are accessed via the cog wheels in the top right-hand corner of the module. You'll need Administrator or 'manage module' user permissions to access that area. In this example, we're in the Address Book module settings. Within module settings, select the "My ChurchSuite" tab and locate the "Navigation" section. In the space provided, overtype the new menu name you would like to use, up to 20 characters. Deleting your custom entry will restore the default menu name. Note it is not possible to change the icon associated with the menu names. Remember to save your changes before navigating away from the module settings and before moving on to the next module.